These log cabins are perfect for gardens that are on the smaller side. 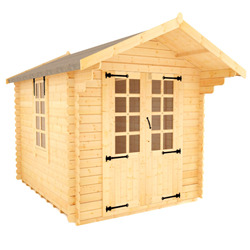 Our 6x8 log cabins are charming, stylish, and manufactured from the highest quality timber. 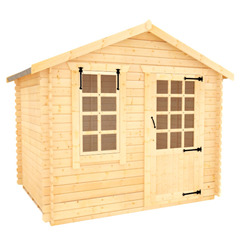 These log cabins may be small in size, but they have huge potential to be your perfect garden room, whether you're looking for an office, gym, entertaining room or space to relax.